Dr. Madej strongly believes in updating his dental skills and knowledge. He believes in explaining all treatment options to patients and educating them with intra-oral cameras images, digital x-rays, and informative CASEY videos. Dr. Madej values a healthy and active lifestyle. Together with Dr. Vu, he competes in triathlons in the summer and cross-country ski marathons in the winter. When he’s not at the office, he enjoys gardening, photography, and reading. Dr. Andrew Madej finds the people of Hinton to be very warm and friendly and he enjoy living in Hinton and being part of the community. 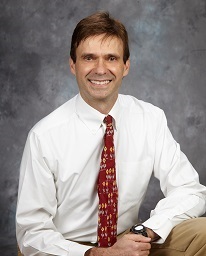 Dr. Madej would like to thank the community for being so kind and welcoming to him. Dr. Vuand Dr. Madej have worked together to create a comfortable and welcoming dental care facility that fosters a pleasant experience. They constantly update and invest in equipment, technologies and continuing education. His continuing education experience includes courses on nitrous (laughing gas) and IV sedation to help anxious people feel relaxed and comfortable, orthodontic braces and Invisalign for both children and adults, oral surgery including wisdom teeth extractions, implant technology, and cosmetic procedures. One of the most rewarding aspects of dentistry for Dr. Vu is the relationships developed with patients from different generations of the same family. Most new patients are referred by word of mouth and Dr. Vu’s goal is to treat them for a lifetime, not just for today. Fitness and a healthy lifestyle are important to him and he regularly hikes in the mountain and competes in triathlons in the summer and cross-country ski marathons in the winter. Dr. Vu also enjoys spending time with friends and family and relaxing by listening to music and reading.Dr. William Vu is proud to be part of such an amazing community and with great people. He enjoys living in Hinton and all the amenities the town has to offer. Dr. Vuand Dr. Madej appreciate the strong support from the community. They show their appreciation by continually giving back to the people of Hinton. Read more about the dentists' support and efforts to enhance the lives of the community members at Our Community Page. Dr. Andrew Madej and Dr. William Vu as health care professionals believe in a balanced lifestyle which includes regular physical exercise. They are active members of the Hinton Nordic Skiers Club and have sponsored the Stadium Camera which allows skiers to view the current snow conditions and weather at the facility at any time. They were also volunteers at the 2015 North American and Canadian National Biathlon Championships. Foothills Dental Centre was also a proud sponsor of the Championships! Athletes, coaches, wax technicians, family members, and Biathlon Canada Officials from all provinces, territories, and the USA descended upon Hinton for a period of seven days. This event showcased the Town of Hinton and what it has to offer, as well as the Hinton Nordic Centre, a world class cross country skiing and biathlon facility.